We can accomodate any type of groups upon our occupancie. Also we can arrange any shuttel for over 8+ people and can make service for any excursion in Istra and all over the Croatia. Services: Bar, lounge bar, Shuttle service (surcharge), Airport shuttle (surcharge), Express check-in/check-out, Tour desk and Luggage storage. In our breakfast area we can offer you breakfast upon your requests. 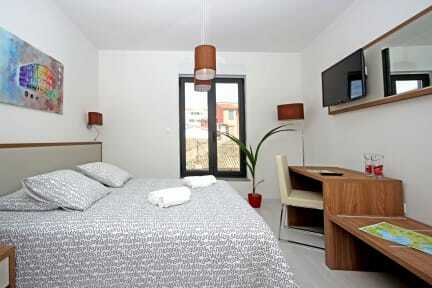 Pula City Center Accommodation offers a tour desk on site where you can ask for tips on excursions and day trips. 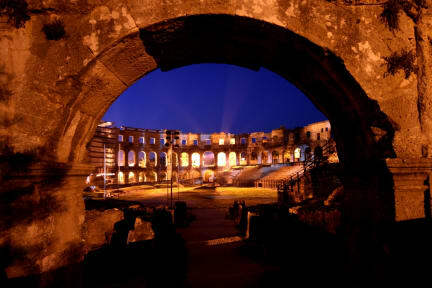 The Archaeological Museum is about 450 m away, while the famous Pula Arena is some 10 min walking. The nearest airport is Pula Airport, 9 km from the property. Shuttle service and airport shuttle can be organised at an additional cost. Each room in this 4* rooms BB is air conditioned and equipped with a flat-screen TV with both cable and satellite channels. Fitted with a shower, the bathroom in each room also includes a shower and free toiletries. With our 17 rooms we can also accommodate groups. We have moder equiped rooms with standard, superior and premium category. Taxes not included - Tourist tax: 4,50 kn (XI-II) 5,50 kn (III-V/X) 7,00 kn (VI-IX); registration fee of 15.00 HRK per person on the first night. Reception: Our reception desk is open 07:00-22:00. Child friendly. There is no age restriction for the children.